The firm's leaders describe how Dimensional's focus on honesty, integrity, and continuous improvement helps create a better investment experience for clients. 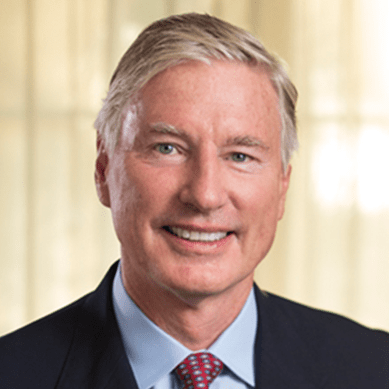 David Booth, a founder of Dimensional Fund Advisors in 1981, is the firm’s Executive Chairman. David has won numerous awards for his accomplishments in applying financial theory and research to the practical world of asset management, and has written numerous articles, particularly for his pioneering work in indexing and small capitalization investing. He has served on the Investment Company Institute’s Board of Governors and the ICI’s Executive Committee. 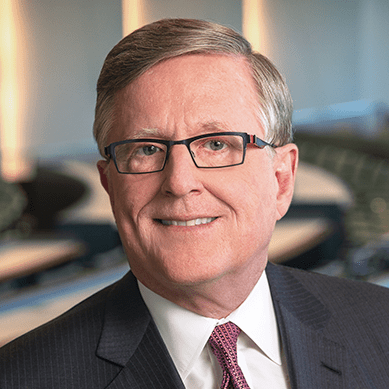 The University of Chicago Booth School of Business was named in his honor, and David also serves as a lifetime member of the school’s advisory council. David Booth Kansas Memorial Stadium at the University of Kansas was also named in his honor. David funded the Booth Family Hall of Athletics in Allen Fieldhouse at KU and donated James Naismith’s original 13 rules of basketball. The David Booth Conservation Center and Department is responsible for the preservation of The Museum of Modern Art’s collection. The Booth Family Center for Special Collections at Georgetown University’s Lauinger Library contains several archival documents related to Georgetown as well as an extensive collection of rare books, manuscripts, and art. David received his MBA from the University of Chicago in 1971. He also holds an MS and a BA from the University of Kansas. 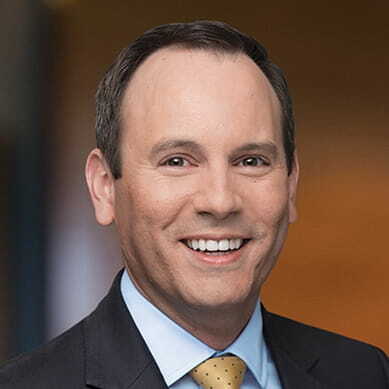 Dave Butler serves as Co-Chief Executive Officer and Head of Global Financial Advisor Services and is a Dimensional Director. He joined Dimensional in 1995 and brings more than 20 years of experience working with financial advisors. He leads a worldwide team of regional directors and client services professionals who apply Dimensional’s strategies and resources to help advisors provide investors with an outstanding client experience. Dave is on the firm’s Executive Committee and has been involved with firmwide strategic vision and decision making for many years. Dave attended the University of California, Berkeley, earning his BS in marketing and finance in 1986 and an MBA in 1990. He received the CFA designation in 1998. Dave played basketball for Cal and was drafted by the Boston Celtics. In 2011, he was inducted into the Cal Athletics Hall of Fame, and in 2014, he was named to the Pac-12 Basketball Hall of Honor. Dave was also a Rhodes Scholar candidate. 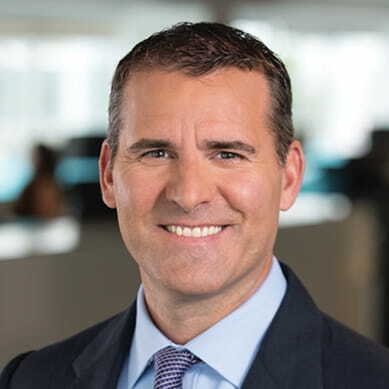 Gerard O’Reilly serves as Co-Chief Executive Officer and Chief Investment Officer and is a Dimensional Director. He has been with Dimensional since 2004 and was named Co-CIO in 2014. He oversees the design, development, and delivery of research that guides Dimensional’s scientific approach to investing. He has been instrumental in the creation and implementation of investment solutions that meet the needs of Dimensional’s global clients. 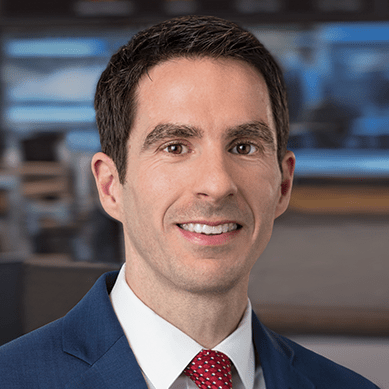 Gerard works closely with clients and leads a team of researchers, portfolio managers, and traders in designing and managing reliable and cost-effective investment strategies based on sound academic research. Gerard is the co-chair of the firm’s Investment Research Committee and a member of the Investment Committee, which consists of senior executives and investment team leadership that oversee management of the portfolios and accounts managed by the company. Prior to joining Dimensional in 2004, Gerard obtained his PhD in aeronautics from the California Institute of Technology. He holds a master’s of science degree in high performance computing from Trinity College Dublin in his native country of Ireland, where he also received a first class honors degree in theoretical physics and was a recipient of the Foundation Scholarship. Stephen A. Clark is the President of Dimensional International. Steve is also a member of Dimensional’s Executive Committee and Investment Committee. Steve began his career at Dimensional as a US Equity Portfolio Manager in 2001 and has over 20 years of financial industry experience working with investment, research, and sales professionals as well as a variety of asset owners. He led the Institutional Services team until the end of 2018. Prior to joining the Institutional team in 2012, he led the Global Portfolio Management team. Steve’s current role focuses on ensuring consistent solutions are delivered to our clients around the world. He works closely with the Investment team to implement new, research-driven products and is a prominent influence on key business decisions and firmwide advancements. 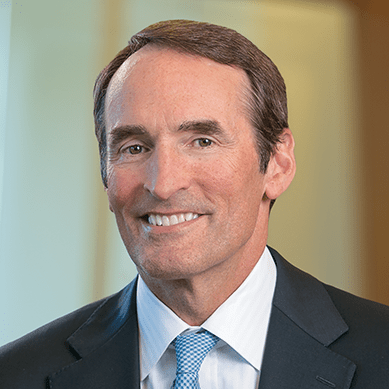 Prior to Dimensional, Steve began his financial career in 1997 at John Nuveen & Company, where he was involved in structuring mergers and acquisitions for the company's health care services division. He holds an MBA from the University of Chicago Booth School of Business and a BS from Bradley University. Catherine Newell serves as General Counsel for Dimensional, supervising the legal work of Dimensional and its subsidiaries and funds. In this role, she oversees the preparation of new product and corporate governance materials, business contracts, and other legal and regulatory matters, and heads up the firm’s Global Legal team. In addition, Catherine serves on Dimensional’s seven-person Executive Committee in the role of Chief of Staff. 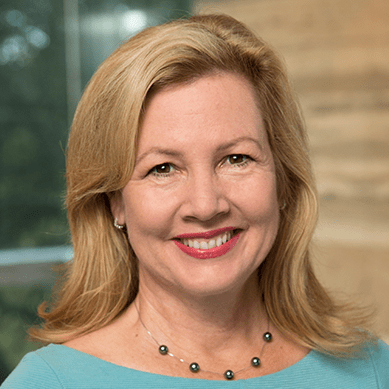 Prior to joining Dimensional in 1996, she was an associate in the law firm of Morrison & Foerster LLP, practicing in the areas of corporate finance and investment management law. Catherine earned a JD from the University of California, Los Angeles, School of Law in 1989, where she served on the UCLA Law Review, and a bachelor of arts in government from the University of Notre Dame in 1986. 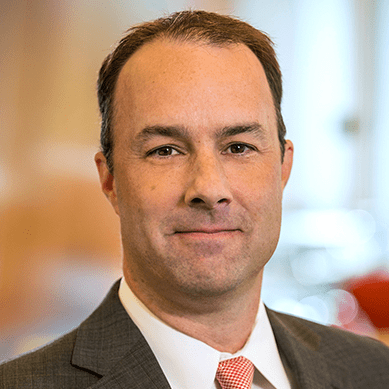 Christopher Crossan is vice president and Global Chief Compliance Officer for Dimensional Fund Advisors, managing all compliance matters for the firm, its subsidiaries, and the Dimensional Funds. Previously, Chris was senior compliance officer for INVESCO Institutional. Before that, he filled a variety of roles at the US Securities and Exchange Commission, inspecting more than 100 investment firms. His last role at the SEC was as branch chief, overseeing their mutual fund and advisor inspection programs in the Southeastern US. Chris is a CPA and holds a BS in accountancy from Arizona State University. 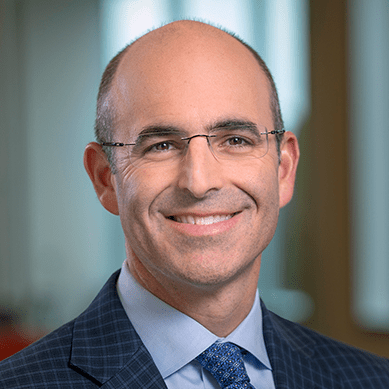 Aaron Marcus, Head of Global Human Resources, leads the recruiting, development, and reward of Dimensional employees across the firm's offices worldwide. Aaron is also the Head of our Charlotte office. Since joining Dimensional in 2008, Aaron has grown the Human Resources department from a service provider to business driver, evolving its benefits and support, employee training opportunities, hiring strategy, and people-related systems and policies in support of Dimensional's business objectives. Prior to Dimensional, Aaron spent 14 years at Goldman Sachs in New York, London, and Hong Kong. In his last role at Goldman, he oversaw the company’s worldwide hiring. He also managed campus recruiting globally as well as the global HR practice for the sales and trading divisions of the firm. Aaron began his Goldman career in commodity operations. He holds a BA in Judaic studies from Brown University. John Alkire is Chief Executive Officer of Dimensional Japan Ltd. and serves as the head of Dimensional’s Japan operations. John was appointed CEO of Dimensional Japan in November 2012 and began his tenure in January 2013. Prior to his appointment, John was a consultant to Dimensional, assisting the firm in its expansion in Asia. John has more than 35 years of securities investment experience. Previously, he served as president and chief investment officer of Morgan Stanley Asset & Investment Trust Management Co., Ltd. (MSAITM) in Tokyo, where he oversaw approximately $45 billion in institutional assets. 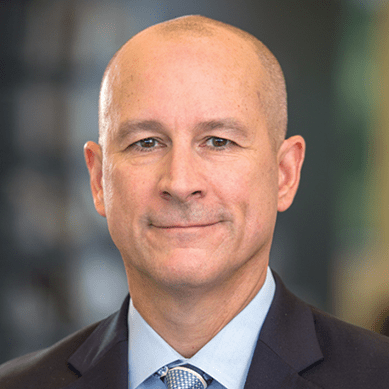 John joined Morgan Stanley in 1981 as head of institutional equity for Asia in New York and established MSAITM, later renamed Morgan Stanley Investment Management (Japan), in Japan in 1995. In 1996, MSAITM was selected by Japan’s Government Pension Investment Fund (then called Nempuku) as one of the first three investment managers to manage its assets. John’s relationship with Dimensional began in the late 1980s. He first worked with Dimensional founder David Booth in 1985, and while at Morgan Stanley, he helped launch a Japanese small company strategy for Dimensional in 1986. John was the first non-Japanese vice chairman of the Japanese Securities Investment Advisors Association, from 1998 to 2000. He was born and raised in Japan, speaks fluent Japanese, and graduated from the University of Victoria, British Columbia. Peng Chen joined Dimensional in 2012 as Chief Executive Officer of Asia ex Japan. He is a member of Dimensional’s Investment Research Committee and chairs the global Defined Contribution Business Committee. In addition, he serves as Adjunct Professor in Finance at the Chinese University of Hong Kong. 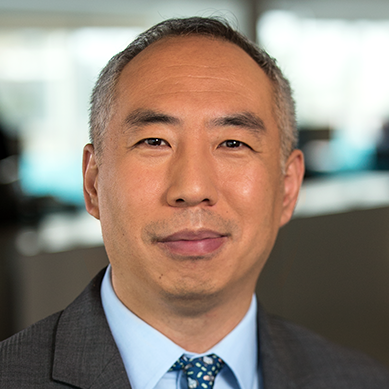 Prior to joining Dimensional, Peng served as president of Morningstar’s global investment management division, which consists of Morningstar’s investment consulting, retirement advice, and investment management operations in North America, Europe, Asia, and Australia, with approximately $190 billion in assets under advisement or management. Before that, he was president and chief investment officer at Ibbotson Associates. Peng is an editorial board member of the Financial Analysts Journal and a contributing editor for the Asian Financial Planning Journal. He was selected to the Chicago Crain’s Business “40 under 40” in 2007. He was also named to the Investment Advisor list of the “25 Most Influential Individuals” in 2008 and won the Financial Analysts Journal’s prestigious Graham and Dodd Scroll Award three times, in 2011, 2007, and 2003. He also won the Retirement Income Industry Association’s 2012 Academic Thought Leadership Award. Peng holds a PhD and MS in consumer economics from Ohio State University. Before coming to the US to pursue his graduate studies, Peng grew up in Harbin, China, and holds a BS in industrial engineering from the Harbin Institute of Technology in China. “Drawing on our philosophy, implementation and experience, our purpose is to build solutions that help people meet their goals”. J. Glenn Crane is a founding director of DFA Australia Limited and was responsible for establishing the business in 1994. He is Chairman of the board of directors and the Compliance Committee. Glenn has extensive experience in all aspects of the financial services sector. 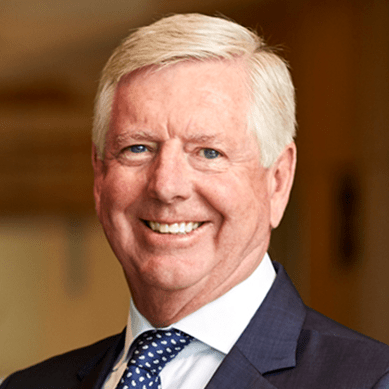 In addition to his role at Dimensional, he is the chairman of Ceanet Pty Limited and NAQ Technology Limited, and is a fellow of the Australian Institute of Company Directors. Glenn received his BComm and LLB from the University of New South Wales and practiced law for five years before moving into the commercial environment. Nathan Lacaze is Co-CEO of Dimensional Fund Advisors Ltd. (DFAL). In addition to his Co-CEO responsibilities, he is Head of EMEA Portfolio Management, a director of DFAL, a member of DFAL’s investment and management committees and on the Board of Directors of Dimensional Funds PLC and Dimensional Funds II PLC (Irish UCITS managed by DFAL). In his role as Head of EMEA Portfolio Management, Nathan oversees the management of existing portfolios and helps design and implement new strategies. He also takes an active role with clients. Nathan joined Dimensional as a trading assistant in 2004 and received a bachelor of chemical engineering and a bachelor of commerce, with majors in finance and economics, from the University of Sydney. He received an MBA from the University of Chicago Booth School of Business and is a CFA® charterholder. "I believe that investors are looking for a sound, consistent investment experience. Dimensional has a long track record of helping investors achieve that." John Romiza is Co-CEO of Dimensional Fund Advisors Ltd. (DFAL). In addition to his Co-CEO responsibilities he is a Director of DFAL and is a member of DFAL’s investment and management committees. He chairs the Board of Directors of Dimensional Funds PLC and Dimensional Funds II PLC and is Global Co-Head of Equity Trading. In his capacity as Co-Head of Equity Trading, he oversees trade execution strategies and coordinates all equity trading operations across the firm's global trading desks. Throughout his time with the firm, John has worked closely with Dimensional’s client service teams and interfaces directly with clients and prospects.